Full length, Polydor Records, 1975. 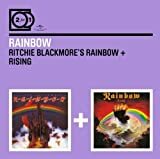 After the conflicting personalities in Deep Purple could no longer function together Ritchie Blackmore had enough and jumped ship to form his own band RAINBOW which on this first album has his name attached as RITCHIE BLACKMORE'S RAINBOW. While still in Deep Purple he toured with the band Elf which had Ronnie James Dio as the lead singer,. Basically Blackmore hit it off with Dio and stole a bunch of members of Elf to create this album. This is one of those albums that I want to like but feel a little let down by. 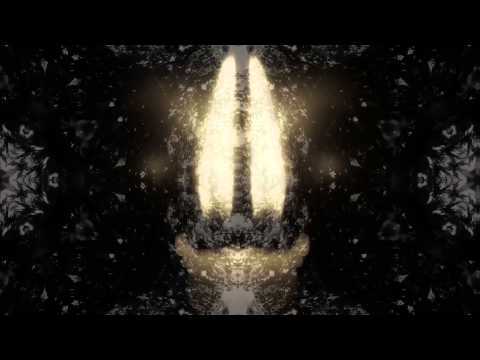 The sound is good and all but the music is a little hit and miss. The album cover is way cool with every guitarist's dream castle in the clouds and it hints at a slightly epic kind of power metal that would eventually be invented by much later groups like Rhapsody or Angra. On this release we get a bunch of great songs and some mediocre ones that just don't seem to fit in. A loose collection offering no unifying theme or feel. Excellent songs include the opener “Man On The Silver Mountain” and “Sixteenth Century Greensleeves” and the instrumental closer “Still I'm Sad.” Most are just in the OK department for me offering too little of the neoclassical guitar playing that Ritchie Blackmore so deftly exhibited in Deep Purple. Instead he tends to trade it off for a more Hendrix-ish bluesy hard rock sound. This is fine but he takes the influences way too far as on “Catch The Rainbow” and not exactly in an original and interesting way. “If You Don't Like Rock n' Roll” totally ruins the flow of the album. It sounds more like it should be on a Doobie Brothers album or some other blues rock band. An OK album but hardly the best of his RAINBOW years. Inspired by a classical and medieval approach, Rainbow was born in 1974 after Ritchie Blackmore disappointed with the change of his former band's musical style, Deep Purple, and he decided to left and took over Elf, which was fronted by Ronnie James Dio. Blackmore was impressed by Dio's grandeur vocal delivery, and together they wrote the whole original songs on their debut which was released in 1975. 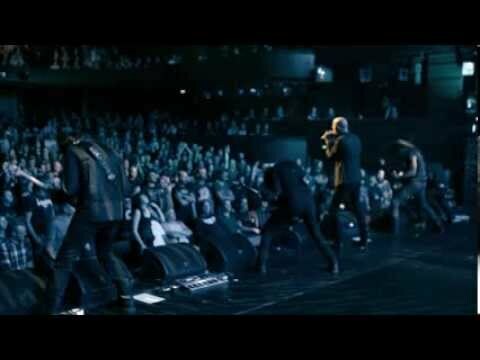 Started with their classic hit, "Man on the Silver Mountain", this one is a regular concert pick and showcasing Dio's commanding vocal that sparkled his charming persona, accompanied by Blackmore's splashy riffs, this one emerged as their best song here. "Catch The Rainbow" is an enthralling bluesy ballad and "The Temple of The King" has a more commercial touch and also served as one of their well-known song. "If You Don't Like Rock N' Roll" follows the uptempo style of Led Zeppelin's "Rock And Roll" that was done four years earlier. Some other worthy tracks to listen is the Quatermass' cover, "Black Sheep of The Family" and "Sixteenth Century Greensleeves", displaying a wonderful Blackmore's shred with a great chorus. "Self Portrait" is sadly a bit boring to my ear and along with Yardbird's instrumental cover with its annoying percussion bang, "Still I'm Sad", are tracks I could live without. Nevertheless, "Ritchie Blackmore's Rainbow" and the follow-up, "Rising", remained a part of influential heavy metal albums of all time. This is one of the most fantastic albums ever made!It's simply OUTSTANDING!Inspired 200 % and full of excellent compositions ,magically performed by some super musicians and especially a golden voice -RONALD PADAVONA aka RONNIE JAMES DIO!Tired of compromises in DEEP PURPLE,Ritchie Blackmore found a new way of expression of his huge talent with this new band and delivers some wonderful music,brilliant compositions and superbe guitar work too,but,most of all,a fabulous vocalist -the one and only DIO!Now,when the LITTLE MAN WITH THE GOLDEN VOICE is gone,we realise that the music on this album is timeless and will last forever,a monument of inspiration and magic!All the tracks are so perfectly written and puts in evidence the fantastic talent of Blackmore as composer and guitar player and the warm and in the same time powerful voice of DIO!MAN ON THE SILVER MOUNTAIN,THE TEMPLE OF THE KING and especially CATCH THE RAINBOW are true anthems,pure musical jewels where Dio really shines and all the album offers superbe compositions of the highest musical quality possible!Think only that in 2010 we have 35 years since this album was released and no dust trace on the tracks,that's timeless valuable music!This album marks the spectacular debut of one of the most wonderful bands in the history of rock,RITCHIE BLACKMORE'S RAINBOW is a true milestone,a moment of heavenly inspiration and some unforgetable anthems of rock! 5 STARS for a 100 % masterpiece! Trying to catch that rainbow! This album is not as innovative and adventurous as its excellent follow up, Rainbow Rising. However, this debut album is more varied than that next album. Rainbow had a softer and sometimes more acoustic, folky side that is sadly absent on the otherwise brilliant Rainbow Rising album. And it is clearly the ballads that stand out on this debut; the bluesy Catch The Rainbow and the folky Temple Of The King are among the best songs on this album and of the band. On the latter song, Ritchie plays acoustic guitars and Ronnie James Dio's vocals are simply sublime. 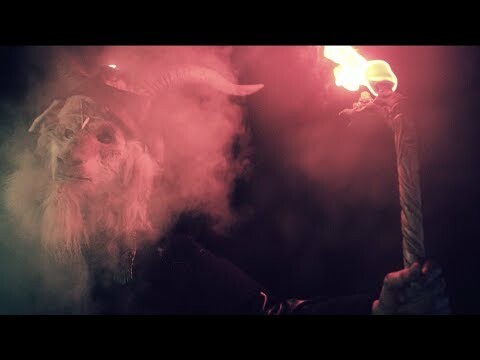 This song has a mystical, medieval kind of feel to it. Because these two first Rainbow albums focus on different sides of the band, I like to think of these two albums as essential companions; you need them both in order to fully catch Rainbow, so to speak. So, don't think that you have all the Rainbow you need if you only have Rainbow Rising. There are some important songs here too; Man On The Silver Mountain, Catch The Rainbow, Sixteenth Century Greensleeves and Still I'm Sad could all be considered Rock classics and they became live favourites for the band. Still I'm Sad is a cover song that is performed instrumentally on this album (but the band later did a vocal version of it). The low points here are Snake Charmer and, especially, If You Don't Like Rock 'n' Roll. These are basic Rock 'N' Roll songs that bring this album down a bit. I cannot help thinking that they could have made a true masterpiece of an album if they had only taken the best tracks from the present album and put it together with the best tracks from Rainbow Rising, creating a single cohesive and varied album. This 'dream' album of mine would combine the classic songs Man On the Silver Mountain, Catch The Rainbow, Sixteenth Century Greensleeves and the wonderful Temple Of The King from this album with the fantastic (and very progressive) tracks Tarot Woman, Stargazer and Light In The Black from the Rainbow Rising album. This imaginative album, had it been a reality, would certainly have gotten the full five star rating from me! 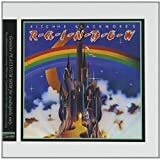 However, as they now stand, Rainbow Rising is an almost five star album and Ritchie Blackmore's Rainbow is an almost four star album. In 1974, guitar wizard Ritchie Blackmore left Deep Purple, disgusted by the funk and soul influences that bassist Glenn Hughes had starting injecting into the band's sound. 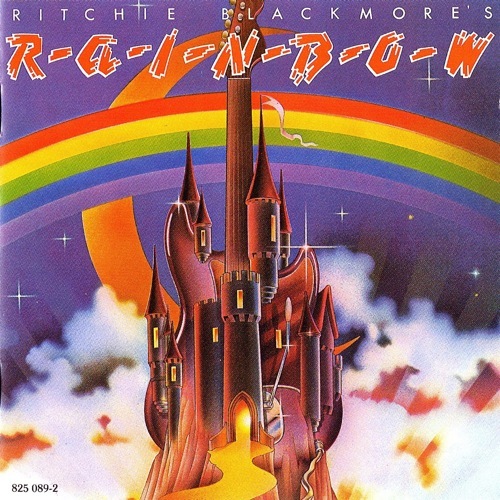 Then he teamed up with four-fifths of American band Elf (who had supported DP in their last tour of the US), changed their name in "Ritchie Blackmore's Rainbow" - just to make it clear that it was his band - and proceeded to record their first, self-titled album - an excellent example of mid-paced, melodic hard rock with the added punch of Blackmore's brilliant guitar work and Ronnie James Dio's awesome pipes. While lacking the majestic, epic quality of its follow-up, the legendary “Rising”, "Ritchie Blackmore’s Rainbow" contains several songs that quickly became mainstays of the band’s live performances. Opener “Man on the Silver Mountain” features a lazy, almost hypnotic guitar-over-keyboards riff, and introduces the listener to Dio’s powerful, commanding vocal delivery, surprisingly melodic for those who only know him from his heavy metal days with Sabbath and his eponymous band. 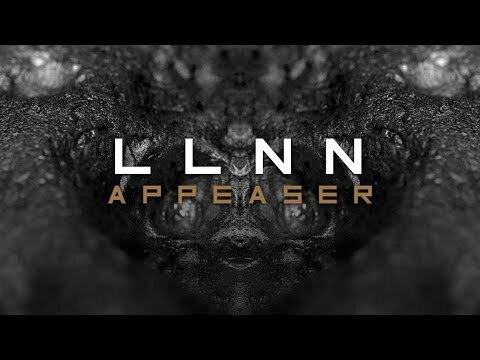 As this album shows, the iron-lunged frontman would have made a great progressive rock vocalist, had he chosen to go that way. 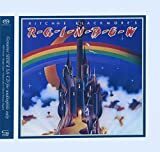 “Catch the Rainbow", a wistful, mellotron-soaked, bluesy ballad with a heartfelt vocal performance from Dio, is pure heaven for Blackmore fans, especially in the numerous, extended live versions currently available. In a similar vein is the laid-back, Oriental-themed “Temple of the King”; while the heavier “Sixteenth Century Greensleves” exemplifies Blackmore’s love of anything Renaissance, as well as pointing the way to what was going to be the musical and lyrical content of “Rising”. While the remaining tracks are not on the same level, they nevertheless make for a satisfying listening experience – with the possible exception of the rather nondescript, run-of-the-mill rocker “If You Don’t Like Rock’n’Roll”. Interestingly, the album includes two covers, Quatermass’ “Black Sheep of the Family” (remarkably close to the original, though further enhanced by Dio’s vocals), and an instrumental version of The Yardbirds’ “Still I’m Sad”, which closes the album in style. 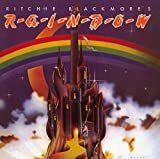 Though Rainbow has often been dismissed as a Deep Purple clone, there are very few (if any) hints of Blackmore’s former band on this record. The strength and clarity of Ritchie’s guitar is one of the most impressive features of the album, blending with the other instruments and complementing Dio’s singing, instead of engaging in wild duels with the keyboards (or even the vocals) as it happened in Deep Purple. 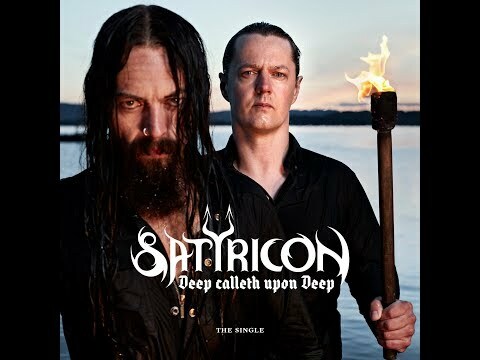 If I had to describe this album in a few words, I would say it sounds amazingly disciplined in comparison to the almost unbridled fury of the likes of “Burn” or “Machine Head”. 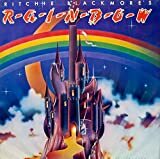 Though not in the same league as its majestic follow-up, “Ritchie Blackmore’s Rainbow” is nevertheless a musically and vocally excellent effort that can easily appeal to fans of both hard rock/heavy metal and progressive rock - though devotees of the more extreme fringes of metal may find it a little lightweight.